We hold expertise in providing services for management of residential places that caters to the needs of builders, RWAs and residential societies. Having a team of qualified personnel, who help us in successfully meeting the requirements and specifications of our clients. For this we undertake all the work related housekeeping, maintenance, security, management etc of these residential establishments. 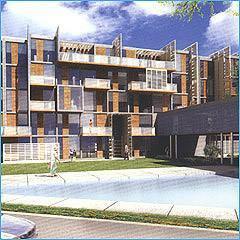 Uppal Marble Arch is a housing society located at one of the prime location of Chandigarh. This housing society has 165 residential suits and we are proud to facilitate this housing society for a vast range of residential management services like residential cleaning services, residential housekeeping services, residential security services, home security services and other engineering and maintenance services. All the services are handled by efficient and trained personnel ensuring complete customer satisfaction.